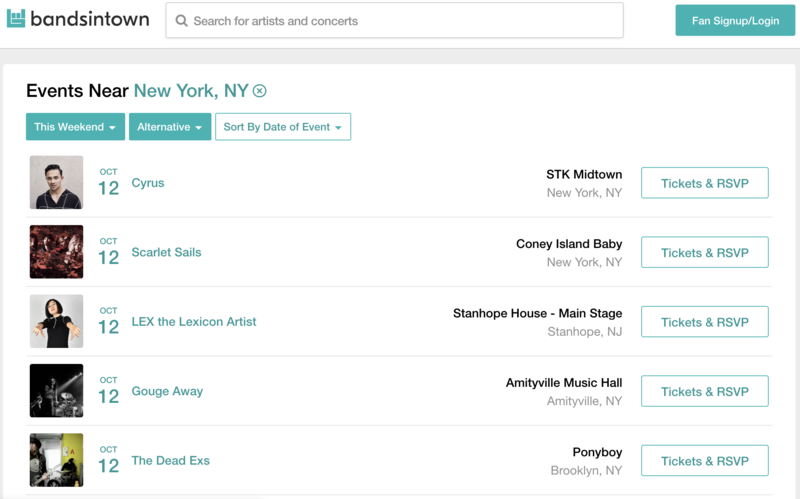 Here we explore how both forward thinking entrepreneurial artists and music tech companies like Bandsintown are pushing the envelope on how they market themselves in order to launch successful tours. You won’t find Fabrice Sergent backstage, or, god forbid, pressed against a venue’s back wall, arms crossed, in the mix with an industry crowd. The music-tech exec’s path to co-founding Bandsintown Group begins with late-night raves. Enraptured, early, by the transcendent bliss of the French-European electronic scene, Sergent treasured music as communion. In 2011, he shifted business ambitions to his true love—live—after helping build internet startups in the late ‘90s. It’s been a fruitful decade. In the years since, Lil Wayne sold a million copies first week, Beyonce reinvented the surprise album, Spotify launched a streaming arms race, and our industry’s prospects flipped from death row to bullish. Bandsintown, to its credit, quickly recognized an opportunity as the market evolved. The result? A destination for anyone with a stake in the concert circuit. 45 million fans and 470,000 artists already use the platform to keep tabs on each other, a multi-faceted marketplace increasingly valuable to promoters and brands. Bandsintown is not alone on a growing list of forward-thinkers in the touring business. Creators and crews are making smart use of old tricks while pioneering new ways to get behind the future and build a base. Coordination and good ideas make a formidable one-two punch. Like most things, a scalable tour business usually begins with a strong foundation. Kelsey Miller, a digital marketing manager on AWAL’s Recordings division, calls attention to the varying roles ads can play in the promotion process at different stages of an artist’s career. Miller recently built one ad campaign for an artist playing direct support on a nationwide U.S. tour, encouraging the headliner’s fans to arrive early enough to catch her set by promoting a photo of them together. Another tour campaign invited mom blogger influencers to different concert dates because fans of the headliner were highly engaged in maternity content. It’s easy to overlook the simple things. Teams can turn TuneSpeak (ticket giveaways), Bandsintown (direct emails), Instagram Stories (affordable ads), and hundreds of other accessible options into tools that help make new fans and keep old ones. Outlining variables and constraints quickly identifies the big picture ideas deserving execution. Every aspect of online advertising—platform, type, frequency, spend, duration, design, location, target audience, goal—varies on a campaign-by-campaign basis. Deeply understanding all options unlocks more chances to push the envelope. 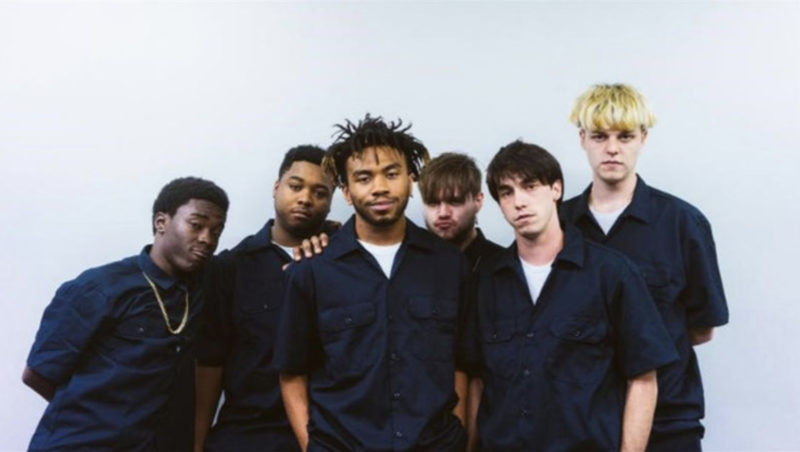 Two weeks ago, boy band Brockhampton did exactly that with a flood of clever video ads in which the thermal likeness of group member Roberto Ontenient approaches the camera (and the viewer’s screen) before tapping the lens, puncturing the fourth wall. While the timeline illusion aimed to drive album consumption, the same approach benefits a tour announcement. Adverts increasingly function as an exercise in world building, canon material reflecting an artist’s vision. Synthesizing that vision early goes a long way. Across the board, consistency bridges moving parts and foresight aligns human resources. Phil McDonald, Director of Label Management at AWAL, points to common courtesy, a thoughtful plan, and manageable aspirations for developing teams hoping to maximize their relationship with a release partner. There’s no better time to cross off all three when artists come to town for an event. The everyday steps it takes to reach those objectives isn’t always glamorous. Thomas Fitzner, who’s tour managed over 250 shows, ranging from 50-person private showcases to festival performances for 20,000, cautions artists from doing the most too early. "Being too worried about creating the image for Instagram that you're "poppin" and spending too much on a bus, or bringing unnecessary people on the road, staying in super nice hotels etc., is a mistake,” he tells us. "If your tour doesn't come out in the black, then you should be grinding your gears to figure out where you can save. Overspending on tour is dumb, unless you're signed and it's a promo tour that's non-recoupable." Whether tour support is coming out of your pocket or someone else’s, financial conservatism doesn’t hurt, especially when funds could instead be allocated toward the fan experience. And even in an era where one meme can accelerate someone’s trajectory, where a tour announcement matters as much for playlist pitching as it does actual dates, there’s no replacing elbow grease on the ground. To this day, the best testament of an artist’s true reach is whether they can pack venues night after night. It might begin with a group of persuasive high school friends who help sell out a pay-to-play showcase for 100 classmates in your home city. After that, it’s no limits with the right mindset and the right team.